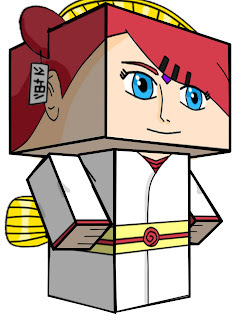 This Naruto papercraft is the Mito Uzumaki, the cube craft paper toy is designed by blackignus. Mito Uzumaki was a kunoichi who originated from Uzushiogakure’s Uzumaki clan and later married into Konohagakure’s Senju clan. She was also the first jinchūriki of Kurama, the Nine-Tails.